Post-Graduation Plans: Joining the Teach for America corps to teach elementary school in Indianapolis, Indiana. Grace helping to reveal the 2016 DePauw Dance Marathon fundraising total benefitting Riley Children’s Foundation. Simply put, I DM for family. In 2007, after years of looking for solutions, my very sickly, younger brother, Foster, had surgery for gastrointestinal complications at Riley Hospital for Children. Riley was 500 miles away from our Iowa home. Foster received exceptional care and is now a collegiate athlete, living his ultimate dream. Riley Hospital also cared for my worried family. My mom still to this day reminds us to treat everyone with the same kind of kindness my family received at Riley. Almost ten years later, I was able to come back to Indiana at DePauw University and was able to support Riley Hospital as President of DePauw University Dance Marathon. Now, I am dancing for a whole new family: I dance for Riley kids, DM leaders, DPUDM executive members, Advisors, Hospital staff, and CMN Hospitals staff members who have become part of my extended family through my involvement with Dance Marathon. Ultimately for me Dance Marathon is about family. People should donate to their local Children’s Miracle Network Hospitals because there is so much hope in children. We, as adults, often find our lives bogged down with negativity. Whether that be the negativity we see in the news cycle or our own lives. We often see our problems as too big to solve. There is a denial of the possibility of answers and solutions to issues such as world peace or global warming. We are asked to donate to numerous organizations day after day, year after year, that support causes such as world peace, global warming, the water crisis, poverty, and animals–the list could continue for days. But when you donate to your local Children’s Miracle Network Hospital you are donating to all of these causes because the kids that these hospitals treat have the solutions to all of these problems. They are the next scientists, veterinarians, world leaders, and even doctors. When they receive exceptional medical care, they are able to do exceptional things. By donating to local CMN hospitals you are not only supporting the kids in your area but you are supporting the problems of the world. The easy answer would to be say that I am most proud of the money that we raised for Riley Hospital for Children, but what I am most proud of from my involvement with Dance Marathon is yet to come. I think my proudest moment will be watching the new executive board raise their total boards in November of 2017. When the class of 2017 graduates from DePauw University on May 21, we will be the last class to have attended the very first marathon. With all of our founding members graduating, including myself, I knew that it was important to start making long term plans for DePauw Dance Marathon so that we could continue to increase our fundraising for the kids. During my first term as President we were operating with the ground under our feet but, during my second President, with the helpful guidance of our Riley Advisor, Alyssa, and Dance Marathon Regional Manager, Briana, I was able to create an Operating Plan for DePauw Dance Marathon. Now that I am no longer President, I am humbled as I watch the new generation of DePauw Dance Marathon grow and learn using the Operating Plan as a guide. My proudest accomplishment will be in November 2017 at the next Dance Marathon when the new executive board has carried on traditions, while making their own, all while raising more money for the kids! 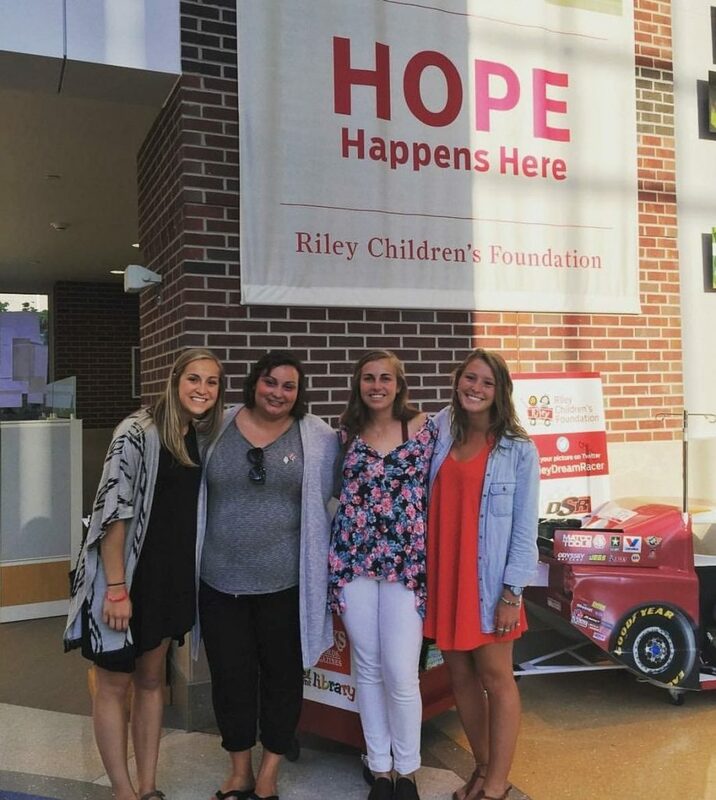 Grace with members of the DePauw Dance Marathon executive board at Riley Children’s Foundation. The skills I learned as a Dance Marathon student leader not only helped me in my other student leadership positions but also will help me as I pursue my postgraduate goals. The most important skill I learned as a Dance Marathon student leader was how to inspire others to work towards a common goal. Simply put, how to lead with the why. In learning how to lead through inspiration in the why through Dance Marathon, I was able to work better with the other organization I was President of, the DePauw Panhellenic Council. Using my Dance Marathon skills, I was able to not only create a successful platform but also to execute the ideas I was elected for. This involved leading through inspiration. Inspiring others is just allowing individuals to inspire themselves. As President, I sought to build a relationship with each member of the organization to learn why they do what they do so that when we were setting tougher goals or doing difficult but important tasks I could remind them why they were doing what they were doing. I know this skill is going to be so helpful when I join the Teach for America Corps in June to teach in impoverished areas. I want to inspire my students to reach their greatest goals just like we did in our marathon program. Students should get involved with Dance Marathon on their campus because Dance Marathon because it gives students self-confidence, fundraising skills, and values-based relationships. That list of gifts you will receive from joining Dance Marathon might be random, but aren’t all gifts? Sometimes the best gifts are not the ones we have been asking for. Dance Marathon will give students self-confidence. It takes a lot of confidence to show off your bad dancing for 6, 8, 12, 24, or 36 hours. It will also give self-confidence through inspiration from hospital families. You can be confident in yourself and your efforts because of stories you hear from hospital families. Dance Marathon will give students fundraising skills, which is so important beyond the ability to market this skill in job interviews. This skill teaches us the importance of giving to others and starts this as a priority early on in life. 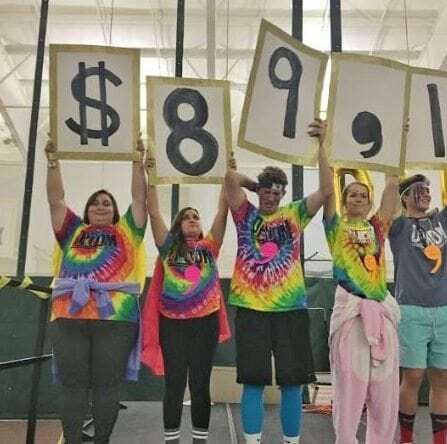 By getting involved with Dance Marathon, students become aware of the efforts needed to raise money and develop deep admiration for those who work to build a better tomorrow through fundraising for the kids and other causes. The last gift that Dance Marathon can give students is values-based relationships. In joining Dance Marathon, you surround yourself with people who value the same things that you do, such as humility and hard work. Relationships built on fighting for the next generation are stronger than any relationship I have ever personally experienced and I am so glad to still have my best friends from Dance Marathon beyond our years at college. 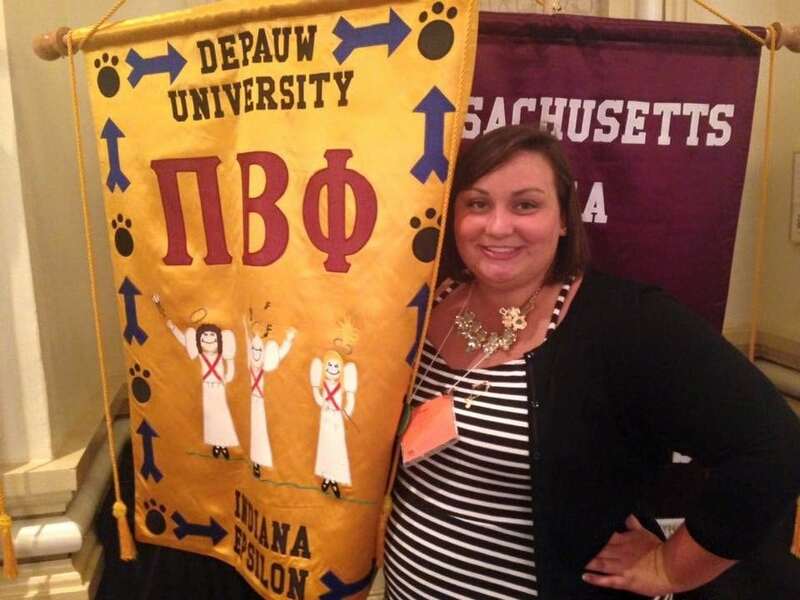 Grace is a member of Pi Beta Phi Women’s Fraternity and served on the Panhellenic Council at DePauw University for two years. The 2016 DePauw Dance Marathon fundraising total benefitting Riley Children’s Foundation.